from RSOE: for fair use educational purposes only. 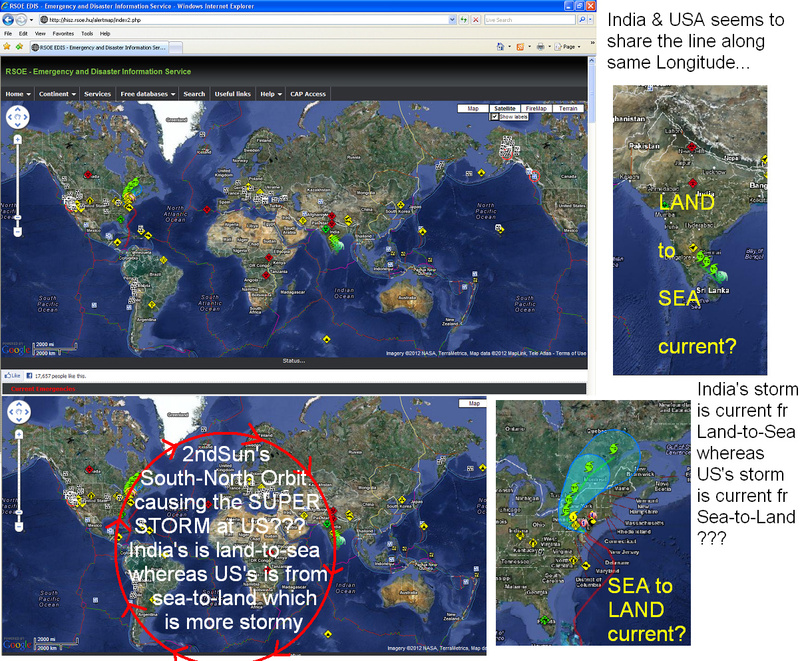 Super-Storm Sandy of US caused by 2ndSun's South-North Orbit? the lovingkindness of the Lord? Psalm107:5: Hungry and thirsty, their soul fainted in them. and He delivered [1st Rapture] them out of their distresses. that they might go to a city of habitation [City of God] ." 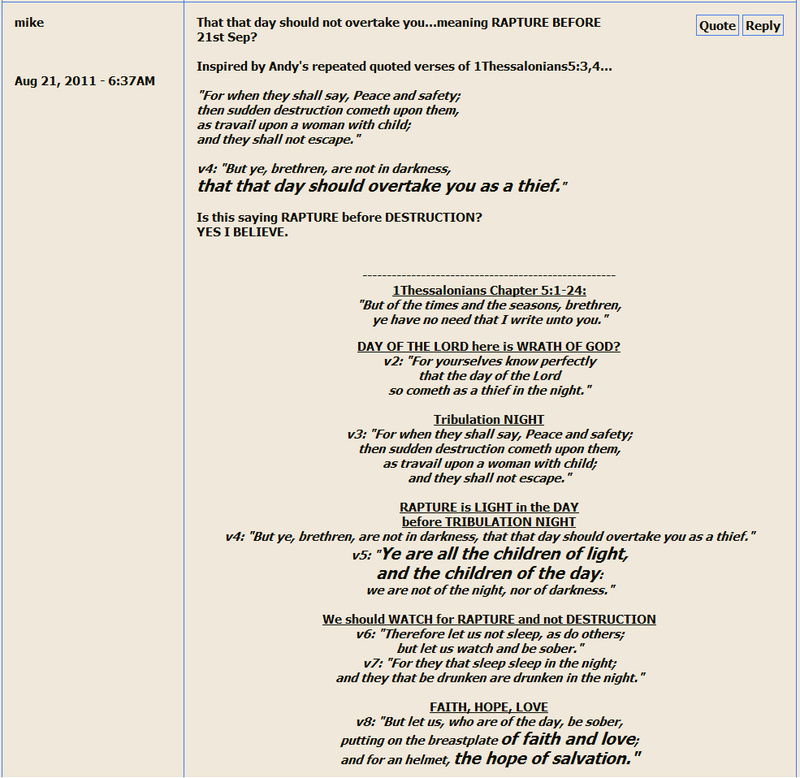 and He saved them [2nd Rapture] out of their distresses. and brake their bands in sunder [2nd Rapture] ." and cut the bars of iron in sunder." and He saveth them out of their distresses [3rd Rapture] . and delivered them [3rd Rapture] from their destructions." and declare His works with rejoicing." that do business in great waters! Psalm107:24: These see the works of the LORD, and His wonders in the deep. Psalm107:29: He maketh the storm a calm, so that the waves thereof are still. and praise Him in the assembly of the elders." and makes the hungry to dwell and multiplied greatly! Psalm107:37: And sow the fields, and plant vineyards, which may yield fruits of increase. and suffereth not their cattle to decrease." and maketh him [the poor] families like a flock." and all iniquity shall stop her mouth." even they shall understand the lovingkindness of the LORD." Hard Sayings: Hard to be saved bodily? Hard to enter into God’s Kingdom of Heaven? 2Peter:3:16,17: “As also in all his epistles, speaking in them of these things; in which are some things hard to be understood, which they that are unlearned and unstable wrest, as they do also the other scriptures, unto their own destruction. Jude:1:15: “To execute judgment upon all, and to convince all that are ungodly among them of all their ungodly deeds which they have ungodly committed, and of all their hard speeches which ungodly sinners have spoken against Him." Are there fewthat be saved bodily ? Strive to enter in at the strait gate:for many, I say unto you, will seek to enter in, and shall not be able. Romans:8:28: “And we know that all things work together for good to them that love God, to them who are the called according to His purpose." Revelation:3:4: “Thou hast a few names even in Sardis which have not defiled their garments[meaning garments had been cleanse white by blood of Jesus earlier]; and they shall walk with me in white: for they are worthy." Righteous RIGHT to enter God’s Kingdom! Unrighteous LEFT behind in this world? Matthew:13:43: “Then shall the righteous shine forth as the sun in the kingdom of their Father. Who hath ears to hear, let him hear." 1Corinthians:15:34: “Awake to righteousness, and sin not; for some have not the knowledge of God: I speak this to your shame." Who is Righteous? JESUS CHRIST! unto All and upon All them that believe! 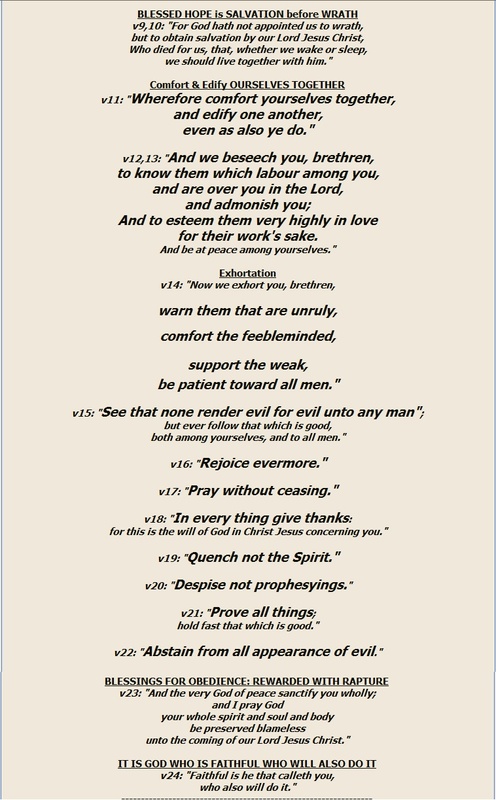 Romans:4:3,5,6: “For what saith the scripture? Abraham believed God, and it was counted unto him for righteousness...But to him that worketh not, but believeth on Him[Jesus] that justifieth the ungodly, his faith is counted for righteousness. Even as David also describeth the blessedness of the man, unto whom God imputeth righteousness without works,"
Romans:5:19: “For as by one man's disobedience many were made sinners, so by the obedience of one [Jesus] shall many be made righteous." Luke:18:9: “And He spake this parable unto certain which trusted in themselves that they were righteous, and despised others:"
Righteous scarcely be saved bodily ? Pricks = They that were Pricked in their heart! What is the meaning of Pricks in the Bible? who will never give up on Christ.